We cat lovers are more than happy to work hard for our money so our cats can live better lives. We don’t expect kitties to do anything but look cute, offer occasional cuddles, and spend most of the day napping in a comfy, sunny spot. It’s a good thing our cats don’t go out and get careers for themselves because there are plenty of jobs cats can do better than humans, and we’d be replaced by felines in a heartbeat. Well, maybe they wouldn’t do the work perfectly, but they still have skills that we just lack. Here are ten jobs cats could do better than humans. Doesn’t your cat make you feel better when you’re sick? Their loving cuddles always seem to ease the pain. Actually, this may go beyond just providing comfort, as cats’ purrs are shown to vibrate at a frequency that promotes healing. 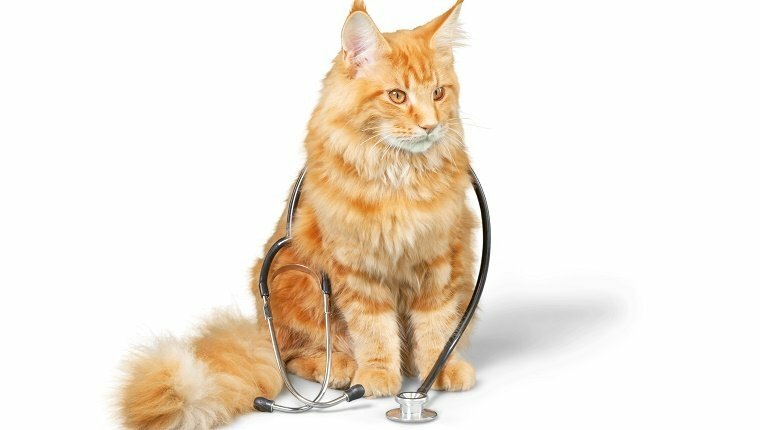 Some cats have even been known to sniff out cancer in their owners before human doctors are even aware of a problem. Felines manage to do all of this without the need for machines or medicine. They’re just natural healers. No one can give you a judgmental stare quite like a cat. Anyone who has been late to refill a cat’s bowl knows that look. 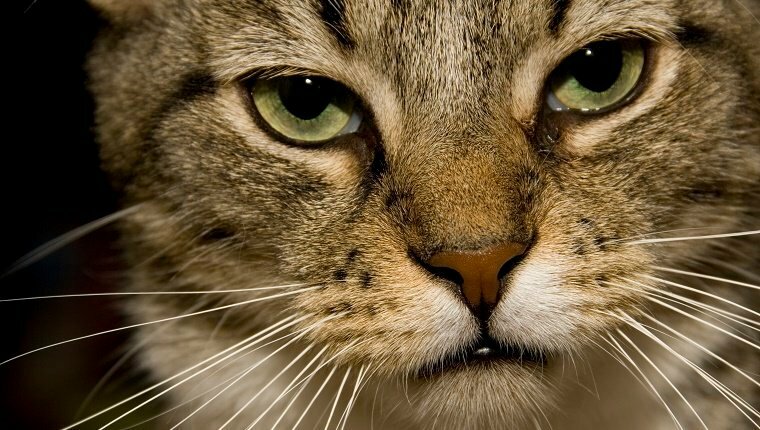 No criminal would be able to resist confessing every crime and begging for forgiveness just to stop getting the stink eye from an adorable feline. Maybe it’s just cat lovers that have trouble with that, but certainly any kitty judge would be happy to bring down the swift paw of justice. Cats have their own sense of where things should be in the house, and they’ll let you know it by knocking anything onto the floor that they don’t like. If your glass of wine is messing with the feng shui of the room, your cat may just decide that a nice carpet stain would match the curtains well and knock your drink to the ground. Speaking of the curtains, maybe they’d look better if they were a bit shredded. You may not understand what your cat is going for with all the redecorating, but maybe you just don’t get true art. Cats are better exterminators than most exterminators. In fact, they don’t even need to hunt to be great at pest control because most tiny animals can smell cats around and turn the other way. 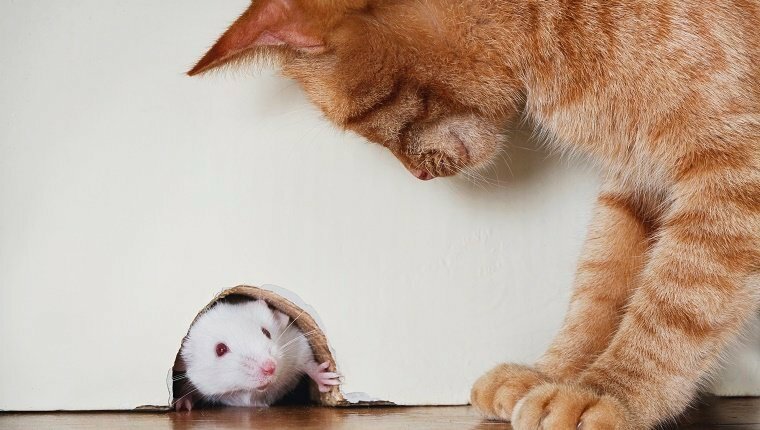 In fact, people in cities that have rat problems are relying on feral cats to help take care of their property, and the feral cats do their work without the need for harmful chemicals or expensive follow-up visits. If you’re tired of paying exterminators only to find pests come back in no time, consider getting a cat to do the dirty work, instead. Cats are compassionate, kind, and most importantly, they’re born leaders. We would follow our cats to the ends of the earth, and we already live to serve them anyway. 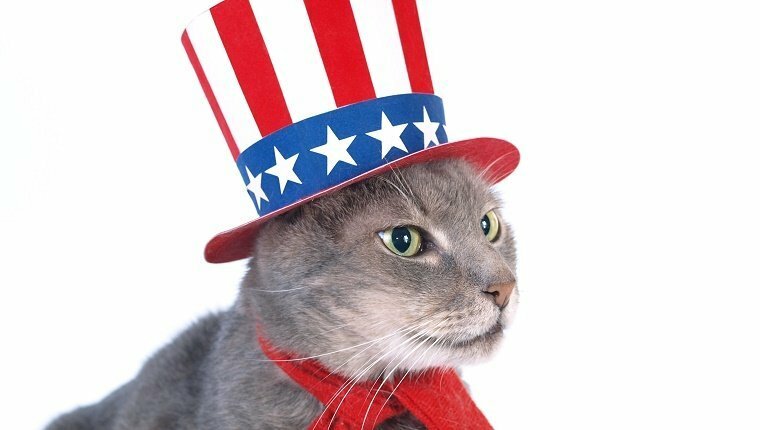 If felines already run the world, why not make it official and put them in charge of the government? I’m all for having a cat President. If cats ran on a platform of cuddles, mandatory nap time, and catnip for everyone, they’d have my vote. There are plenty of instances of cats taking in other animals and giving them comfort. For example, a cat named Russell was at the Animal Emergency Hospital and Urgent Care Clinic in Raleigh, North Carolina after he got badly burned, but that didn’t stop him from visiting all the other patients and giving them love. He went room-to-room to spend time with dogs, cats, and even a baby deer. Russell didn’t care about his own injuries. He brought his love and healing purrs to every other animal he could. That’s a great veterinarian! Cats don’t get as much credit as dogs for loyally protecting their owners, but that’s not fair. They can be amazingly loyal and protective, like Opie, the cat that took a bullet for his human toddler. Cats defend the people they love all the time, and they’d be the first to spot if a laser sight from a sniper is aimed at your body. No one could make sure that you get down faster than a cat going for a shiny red dot. Sometimes cats move in inexplicable ways, but maybe that’s just because we’re bad at interpreting their artistic expressions. Not everyone can understand the intricacies of interpretive dance. Perhaps your cat’s movements are trying to convey that you haven’t filled their bowl properly, or maybe they’re trying to express the joy of finding the best nap spot, or maybe they have just found a tiny bug that you can’t see. It’s all very complex. You may not think that a cat can keep kids in line, but they do some pretty amazing things to make sure their tiny humans stay safe. One cat named Tara fearlessly attacked a dog who bit her human child in the driveway and was dragging him away. She fought the dog off and saved him. Even when they aren’t defending their humans from attacks, kitties are often cuddling up along with their favorite babies and toddlers, sharing their warmth and comfort. Having a cat is like having an extra parent around sometimes, and that’s why they’d make great babysitters. Ornithologists study birds, and there’s no one more willing to study birds than my cat. Felines love watching birds. Most days you can find my cat sitting by the window, watching the birds fly around and making chattering noises to entice the feathered creatures to come a little closer and make friends. Sure, he may only be interested in hunting and eating the flying critters, but he does love bird watching, and passion for the job is the most important thing. What other jobs do you think cats could do better than humans? Is your cat good at any jobs around the house? Let us know in the comments below!